Tips for maintaining your sanity in the run up to Christmas! Well, folks, like it or not, the decorations are already up in the shops and mince pies have been available for months. If I’m honest, since having children, I have begun to spend quite a lot of the year worrying about this time of year, and I am sure I am not the only one. After all, every day family life has to go on, yet the demands upon us from numerous different directions (school, wider family, work, friends – the list goes on) can also make the festive season one of the most stressful times of year for many parents and nannies. So, here are a few tips to help avoid a barney over the brandy butter and really keep the peace on earth this Christmas! Keep it simple: putting together elaborate recipes worthy of a place in the MasterChef final and festooning your home with decorations requiring complicated additional electrics and assembly, while watching that the toddler doesn’t pull the tree over and the dog eat the turkey is NOT conducive to peace and harmony. Be realistic (and learn to say “NO”! ): going to admire the lights in town before taking in a panto, lunch out and then a 70 mile round trip to catch up with a long lost relative is not going to work with a teething 2 year old and babe in arms needing a nap. Some things will take longer than expected anyway – there will be a few curve balls, so avoid trying to fit too much in and pay the price with exhaustion and grumpy children as a result. Recognise your trigger points: for me, the thought of fighting my way through crowds in the shops at any time of the year makes my blood run cold, so I avoid it as far as possible by ordering as much in the way of food and gifts online and ahead of time. I really don’t NEED individually to pick out each of my brussels sprouts in the supermarket and for the stress it would cause me, I would prefer a few misshapen ones delivered to my doorstep. In our family, we have also chosen to relieve some of the financial burden and number of gifts purchased, by introducing a secret santa system for the adults, rather than buying for everyone. Factor in some down time – unrealistic as it sounds, holidays are supposed to be a time of relaxation, so try and enjoy a pleasant walk, agree on some alone time as a family. And also, make sure to keep up with the exercise and calming mindfulness/yoga/meditation (or whatever it is which works for you) which is particularly important at the times of high stress and calorie consumption. Do something different: rather than mass gatherings this holiday, why not get away, either somewhere far flung or nearby – enjoying new sights and sounds can be refreshing and rejuvenating. Or consider volunteering – in a soup kitchen or shelter – giving something back and a change of focus is really uplifting. Above all, there will always be someone who “does Christmas” a bit better than you (or so you think). But then, to them, perhaps is it you who has it just absolutely right! Over the next few weeks, we’ll be posting a series of blogs with a Christmas theme – so whilst it is not yet Happy Christmas, we wish you a relaxing a stress free build up. 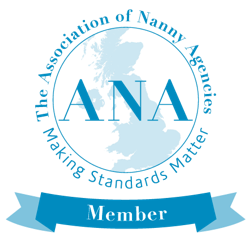 Should my nanny be OFSTED registered?